I was wunderin' if anyone out there in OFC land can help me out. They live in Milton and I would love to be able to take them somewhere close to do some fishing. Of course they have no problems catching pan fish all day so anywhere nearby would be great. Can anyone suggest where to go? Kelso Conservation area is right there, lot's a pan fish, bass and maybe even a trout and when they tire there's a beach for cooling off. 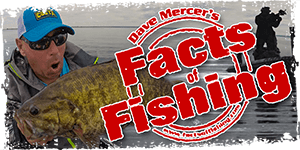 Kelso is a great little area.I fished there quite a bit years ago and landed some really nice smallies.Take a look around the shoreline and about 30 feet offshore there is a sunken foundation from an old building.Lots of fish hanging around. As mentioned Kelso would work. Also Mountsberg is not too far of a drive, and there are some shore options there. Mill Pond right down town. Main St at Martin St. Not sure what all is in there but it does get stocked with trout. I use to take our son there when he was 2 to 3 years old.. but that was 25 years ago.. Thanks for the info and help Gang!! Kelso I initially thought didn't hold much fish. But recently we caught onto LMB and perch and pumkinseed. Also got a strike from some bright red fish which we never hooked. Another spot also held some decent size bass, approx 14". picnic tables and a walking trail.